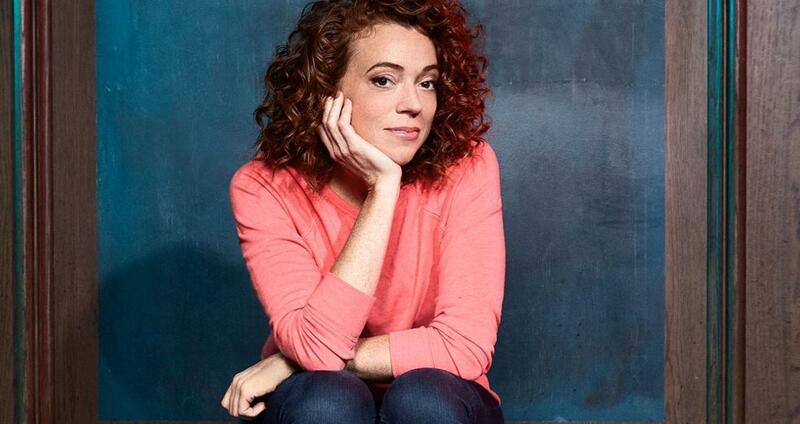 As she ambled towards the podium for her stand-up set, those in attendance at the 2018 White House Correspondents Dinner may have assumed Michelle Wolf’s enigmatic expression was merely a sign of nerves. With the benefit of hindsight, we now know this was the look of someone preparing to whip up a worldwide shitstorm. It’s a tradition of the annual event to invite a comedian to throw a few satirical zingers in the general direction of the incumbent administration. But instead of the mild roasting most were expecting, Wolf lit the fuse on a blitzkrieg of white-hot burns that made headlines around the globe. It also unleashed a torrent of outrage from both ends of the political spectrum, most pointedly directed at a quip about Press Secretary Sarah Huckabee Sanders: “She burns facts and uses the ash to create the perfect smoky eye.” In the days following, Wolf was forced to play damage control on social media, defending herself against confused accusations that she was attacking Sanders' physical appearance; “Those jokes were about her despicable behaviour, not her looks,” she says. Wolf had intended to shock with her Correspondent's Dinner set, but she hadn't banked on just how shocked many people would be at the risqué thrust of her humour, even though just a casual glance at her comedy should have prepared them. Those familiar with Wolf’s shtick know there are few lines she isn’t prepared to cross. Her maestro turn in the 2017-released HBO special, Nice Lady, was a symphony of fart jokes, testicle gags, and gloriously gross yarns that spun an almost infeasible number of LOLs from the most puerile source material. That’s not to say that Wolf’s comic stylings are unrefined. In fact, it’s the sheer brilliance she applies to seemingly witless topics that has made her such a spitfire addition to America’s stand-up elite. Her brush with the White House may have been Wolf’s most talked about outing in 2018, but it wasn’t the most personally significant. That honour belongs to her late-night style variety show, The Break With Michelle Wolf. The Netflix produced series ran for just 10 episodes before being cancelled (a travesty in this humble scribe’s opinion). But while it may have not been around for a long time, it was definitely around for a good time, revealing Wolf’s talent for situational comedy and current affairs commentary, every bit as slick as the male-dominated big leagues of Conan, Leto, Noah, Corden and Colbert.